Here are the contenders for Gadget of the Year in the T3 Awards 2017 together with Three. Although many of our awards will be voted for by an expert panel, we asked you to vote for our reader-voted categories including Retailer of the Year, Brand of the Year and Phone of the Year - this process has now finished. Choose from Amazon's genre-defining Echo, Apple's evergreen iPhone 7, Apple's reimagined MacBook Pro, Google's clever Home, Google's cameratastic Pixel, LG's return-to form G6, Nintendo's innvovative Switch, Samsung's super Galaxy S8, Sony's powerful PS4 Pro and Sony's amazing PS VR. 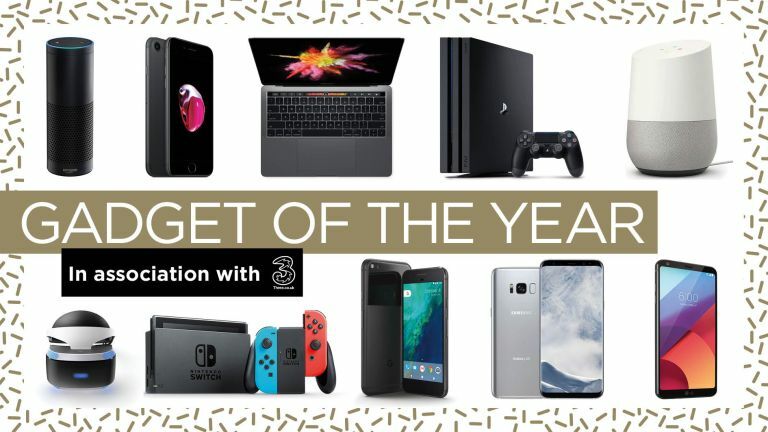 However, on the following key categories readers got to vote: Gadget Of The Year, Brand Of The Year, Retailer Of The Year and Phone of the Year.